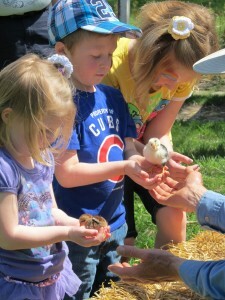 Celebrate Earth Day and welcome spring with an afternoon of outdoor family activities. Enjoy wagon rides, canoeing, crafts, and learn what other organizations are doing in our community to protect water and wildlife. Canoeing $2/person. Pony rides $2/child. All other activities are FREE. No registration required. 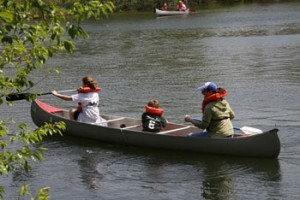 The Festival of Spring is an annual event at Rock Springs Conservation Area. It takes place every April, rain or shine! Co-sponsored by Decatur Audubon Society and Macon County Conservation District. Make a difference in celebration of Earth Day! Join us for the Sangamon River Cleanup the same morning and enjoy the Festival afterwards. Dress to get dirty. Bring your own gloves if you can, as supplies are limited. Bags will be provided. Come by yourself or with the whole family. Organized groups should call 217-423-7708 in advance. Co-sponsored by Community Environmental Council. Register between 9:30am and 10am at the Rock Springs Information Shelter. Volunteers are needed to help in a variety of areas during the annual Festival of Spring. 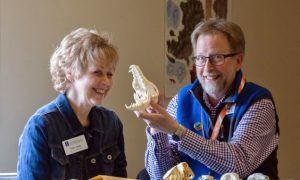 Opportunities include: Tickets for Treasures, Information Desk, Baby Animal Attendants, Canoe Rodeo Assistants, Treasure Stop Attendants, Homestead Prairie Farm Tours, and more! For more information, or to sign up, contact Jenny Garver by April 18 at 217-423-7708 or [email protected].